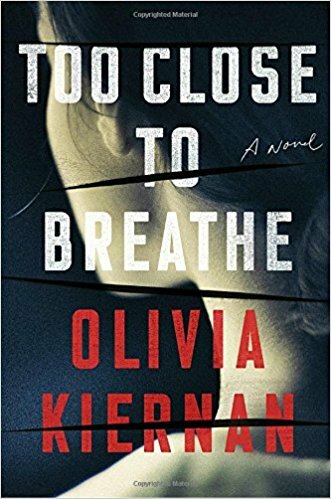 Nothing is as it seems in the new top-notch thriller Too Close to Breathe by debut Irish novelist Olivia Kiernan. Detective Chief Superintendent Frankie Sheehan is back to work after being stabbed in the line of duty. Frankie is placed in charge of a large team looking into the death of Professor Eleanor Costello. One small forensic finding makes Eleanor’s hanging not a suicide but a murder. There are indications that Eleanor may have been a victim of physical abuse. Eleanor’s husband has also disappeared. As the body count rises, it appears that a serial killer is at large in Dublin. I won’t say more as the fun is trying to follow the twisty plot. Frankie’s PTSD is almost another character in Too Close to Breathe. The case against her assailant is going to trial soon. Frankie’s back story is slowly unveiled through flashbacks. Too Close to Breathe was a thrilling read until the last 15%. I wasn’t happy with the end. It didn’t necessarily play fair with the amateur detective reader. Or maybe I’m just upset because I didn’t guess who did it. It was also rather abrupt. There were also many coincidences toward the end. However, this book still deserves 4 stars for the innovative structure of a detective with PTSD and some of the other surprising aspects of the crime not often used in thrillers. I hope this is the start of a long and productive series. Thanks to the publisher, Dutton, and NetGalley for an advanced copy.